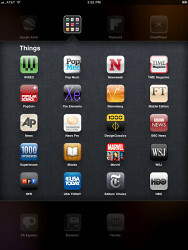 The biggest change that iOS 4.2 will bring to the iPad is obviously multitasking. It’s the feature everyone’s clamoring about since day one. The way iOS handles multitasking creates a bit of a problem though – the app has to support it for multitasking to work. And a lot of iPad apps don’t right now – hopefully, the beta will allow developers to fix that by the time iOS 4.2 comes out in November. The iPad has less RAM than the iPhone 4 (256MB vs. 512MB), which could potentially cause headaches for devs. The task manager has the same swipe-left-for-iPod-controls feature as on the iPhone. 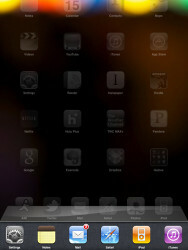 On the iPad, brightness controls and a screen rotation lock have been added to that interface. The current hardware rotation lock on the iPad will morph into a mute button (like the iPhone one). The unified inbox will make juggling several accounts easy – all messages go into that one inbox. 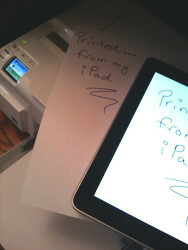 The Safari browser has grown a neat Search-on-page feature and the iPad is getting support for wireless printing. Game Center is arriving too, once the iOS 4.2 update hits. We’re looking forward to it.